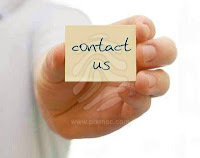 And don’t forget you can contact us when you have a suggestion or something you would like to ask. I have a suggestion. Baltazar Dias Theatre has "The Sound of Music" Directed by Ray Jeffery and it would be nice if you advise the students to go and watch it. It will help them to understand english and to love it. Besides, it's such a simple thing, all you have to do is to go and enjoy. Diario da Madeira is making an offer, that gives you a ticket if you take with you four coupons. Use it.